Ballina Chamber of Commerce, Ballina, Co Mayo, Ireland exists to promote and support the economic well-being of local businesses, in particular that of its members in Ballina and its surrounds. Its vision for 2018 / 2020 and beyond is to create a dynamic business climate in which entrepreneurial flair can flourish in the town of Ballina and its surrounds. Its aim is to achieve a consensus for the strategic development of the town as an attractive place to do business, live and visit. Peter Loftus of Bourke, Carrigg Loftus Solicitors. Oliver Murphy of Olivers Menswear. Mary Doherty of Bank of Ireland, Mayo. Corinne Beattie of Corinne Beattie Photography. Brian Rouse (formerly of Intrum). Maria Carr of The Junction Restaurant. David Devers, Connacht Print and Signs. David O’Malley, Callan Tansey Solicitors. Gregory Connolly, Ballina Motor Care. Joe Cawley, AIB Bank, Mayo. Padraig Mc Namara, Hogan’s Bar. Networking – 60% of members do business to business and refer business on to Chamber members. Discounted business services from member to member. Part of the Chamber strategic policy. Free Promotion – You can use the chamber website to announce special offers or other business announcements. Have you signed up to our Ballina Business Listing yet? Updates – Ballina Chamber have launched a News Digest newsletter, and are continuing with monthly Chamber council meetings and working groups. Membership Business directory listing. Ballina Chamber will forward out Your ezines and mailshots to our Ballina Listing directory. National influence – Part of a national Chamber movement, with influence on local, regional, national or international as appropriate. Participate in our members only groups for social networking and updates. Lobbying relevant departments to aid businesses in Ballina and the North Mayo region. Trade & Export Services – Issues Export Documentation – Certificates of origin & advice on international trade. Find put more about the benefits of becoming a Ballina Chamber Member in 2019. Ballina Chamber needs new members to keep Ballina on the Move to continue the strategy of work it set out to complete from 2013-2015. With the support of existing and New Members, each business can participate in some small way in developing the Ballina Business Network and overall welfare of the town. By becoming a member your financial support will be ploughed back into initiatives and used to develop what is already there. We are very eager to bring new members on board, those who wish to contribute to the town by paying their Chamber Membership and those who wish to be actively involved in Chamber Council and business development groups; Digital Marketing, Hospitality, Retail, Heritage, Events, Infrastructure, Tourism, Activities, Property. If you are not a member but are interested in discussing the benefits of Chamber Membership of Ballina’s Chamber of Commerce, please do not hesitate in contacting us. Ballina Chamber needs Your Membership to Keep Ballina on the Move. Ballina Chamber of Commerce has worked hard in forming and creating partnerships with local Government, public sector bodies, private businesses and commercial enterprises. As well as community groups, voluntary committees and sporting organisations, all who play a vital role in contributing to the improvement, development and enhancement of Ballina; with the common aim of Making Ballina a better place to Live, Work and Enjoy. Ballina Chamber works closely with and alongside Ballina Municipal District Council, Mayo County Council, Mayo County Enterprise Office, Jackie Clarke Collection, Ballina Arts Centre, Ballina Tidy Towns, Ballina Athletic Club, Ballina Farmers Market, Belleek Forest Enhancement Group, Ballina Stephenites GAA, Ballina Community Radio, Ballina Salmon Festival, Coillte, Ballina Rugby Club, Ballina Town Library, Kilmoremnoy LGFC, Ardnaree Sarsfield and Moy Valley Resources. Combined with working with local industry, Ballina Chamber of Commerce believes the future development of the town lies in building partnerships, and creating networks. Get in touch if you have any enquiries! 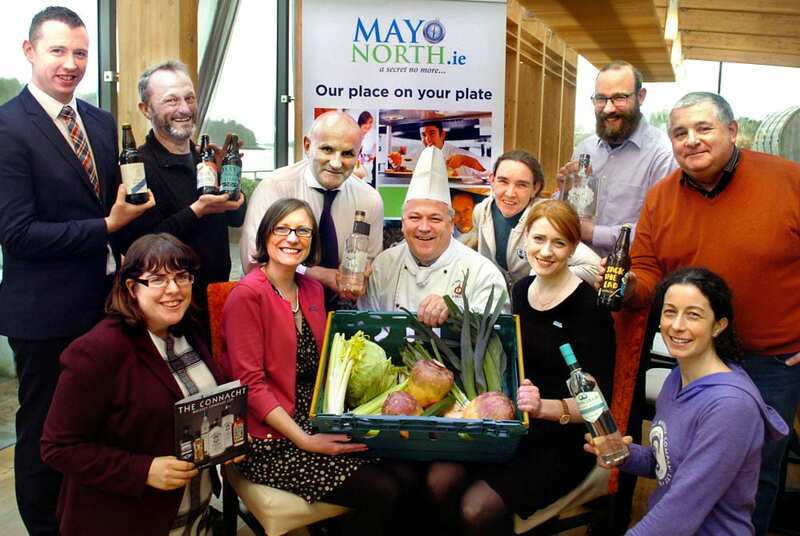 Ballina Chamber of Commerce works alongside Mayo North Promotions Office. The Mayo North Promotions Office, now based at Ballina Tourist Office, set in the heart of Ballina Town was originally created to promote the North Mayo region as a single brand, encompassing events, tourist offerings, food, entertainment and accommodation offerings from all of the communities within the area. As well as working alongside Mayo County Council’s Tourism division (Mayo.ie) to support the council in promoting County Mayo. Businesses within the area have recognised the need and embraced the opportunity to work together to promote this beautiful area and all it has to offer, with inspiring results. The office is managed by Anne-Marie Flynn, who has extensive marketing and event management experience, specialising in Market Research, Public relations and event communications. Anne Marie has brought MayoNorth.ie to the next level of exposure and promotion, with the MayoNorth.ie tourism product gaining recognition from many travel writes, bloggers and travel guides! Anne Marie and the Mayo North.ie team have put in place sophisticated marketing plans which cover both online and traditional media, and promote events and festivals to their very full potential across a variety of different mediums, as well as providing information for visitors on accommodation, activities and dining across the entire region. 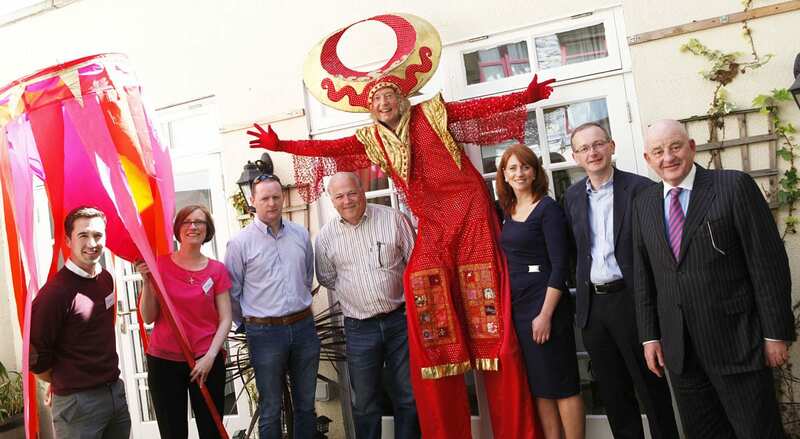 Over the past three years, since the inception of the Mayo North Promotions office, there has been an growth in visitor numbers, a rise in the number of festivals and events, and increased spend in the region. The team between them delivered immense success in 2014 including the introduction of three new festivals that saw an increase of 12% in visitor numbers to the region, and they along with the businesses, voluntary organisations and communities in the area have continued to build upon this success in 2015. 2015 saw a further visitor increase of 21% overall with additional fantastic events being promoted through Mayo North Promotions. With even more events and festivals being added to the Mayo North itinerary, 2017 saw a more collaborative approach towards promoting the area, when the Ceide Coast (Ballycastle, Co Mayo) came runner up in the EDEN Awards- European Destination of Excellence Competition, Tangible Cultural Tourism, Failte Ireland. Spear headed by Mayo North Promotions, this was a great achievement for the committee who included Belderrig, Ballycastle, Killala and Ballina, as a true community application was presented. The Mayo North Office is working hard to further establish the region as a key destination on the Wild Atlantic Way. The very first Tourism Networking event; Meet Mayo North was hosted on Tuesday 24th May, 2016 at the Ballina Manor Hotel. Mayo North’s most recent event Mayo North Food Tourism Seminar hosted by the Great National Hotel on Tuesday 28th March brought together a plethora of independent food producers, chefs, cafes owners and restaurant and hotel managers from across the region to network and share information. Ballina Chamber is one of the largest business membership organisation in Mayo, representing over 200 businesses and organisations in Ballina town and the wider County. Ballina Chamber of Commerce is committed to the Business community but also offers help and support to Voluntary organisations and groups who gives so much to the community. As well as supporting Chamber members in business it also provides additional services to the town and county. 13th February – Other Voices RTÉ programme screening at the Ballina Arts Centre, alongside Ballina’s Purple Flag Celebration the same evening. 21st February – Annual General Meeting (AGM) at Ballina Chamber of Commerce offices. Limited spaces for both training courses, contact Ballina Chamber & Tourist office for further information 096 72800. Selling is the single most important activity in which you or your company can engage. Whether you’re looking to learn more about gaining leads, engaging the customers in your sales pitch, making a recommendation or closing deals this course will support you. Selling successfully is the key to growing your business, which in turn increases your turnover. 27th March-Customer Service Workshop- ‘Good Customers Service is vital for all businesses, Large and Small. It impacts directly with sales and the profit of the business. The aim of this course is to provide the participants with the knowledge, skill and attitudes necessary to provide excellent standards of service. The course also covers the difference between face-to-face communication and telephone communication. Some countries request a Certificate of Origin with imports. This document proves the place of growth, production, or manufacture of goods. Ballina Chamber provide two types of certificates of origin, a European Union Certificate and an Arab-Irish Certificate. Ballina Chamber is authorised to sign and stamp both of these documents. In addition Ballina Chamber provides online certification for EC Certs of Origin for exporters through their partner TradeCert.ie. Availing of this service couldn’t be faster thanks to TradeCert’s online application format. Simply submit your application online and we will email you to confirm approval and you then issue an EC Certificate of Origin right at your own printer. Contact chamber@ballina.ie or 096 72800 for further details. Ballina Chamber promotes the business of our members through a listing in our Business Directory & Diary and on our website. New members are also promoted in our New Members Booklet published each year. From time to time we have opportunities for the business community to sponsor our events or publications. Ballina Chamber are happy to send out Ballina Chamber Members Ezies to the larger Business directory. If you are interested in sponsoring an event or having a bigger presence on ballina.ie website through advertising, please contact us and we would be happy to discuss your requirements. Communication with our members is important to us, we therefore regularly contact our members by email, telephone and we issue a monthly newsletter by email. When urgency is required we contact members by text message. We issue a large number of press releases on subjects that are important to Ballina, and the wider Ballina business community. Ballina Chamber provides a circulation service via Email, and group social media platforms to our members from interested companies. If you would like us to distribute Ezines, and or any correspondence to our Chamber Members and business partners and Business community, please contact us and we would be happy to discuss your requirements. 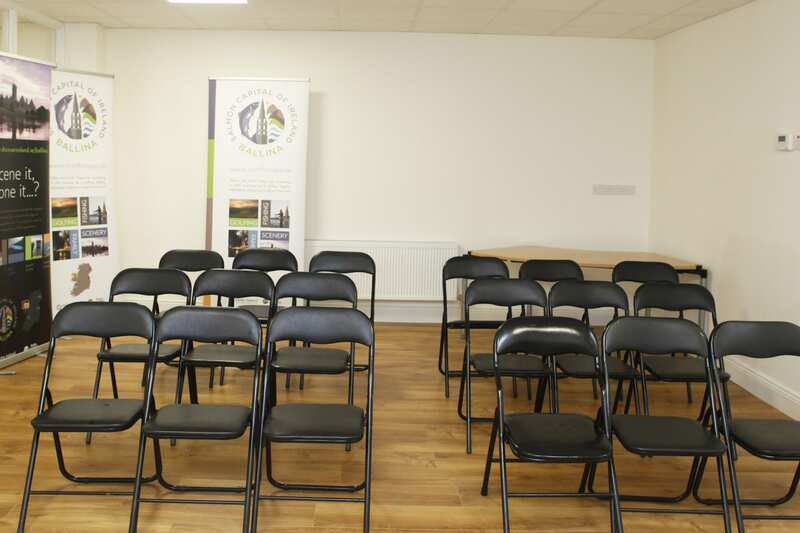 Are you looking for somewhere to hold a meeting, training session or interview in the centre of town? The Ballina Chamber Boardroom is now available. 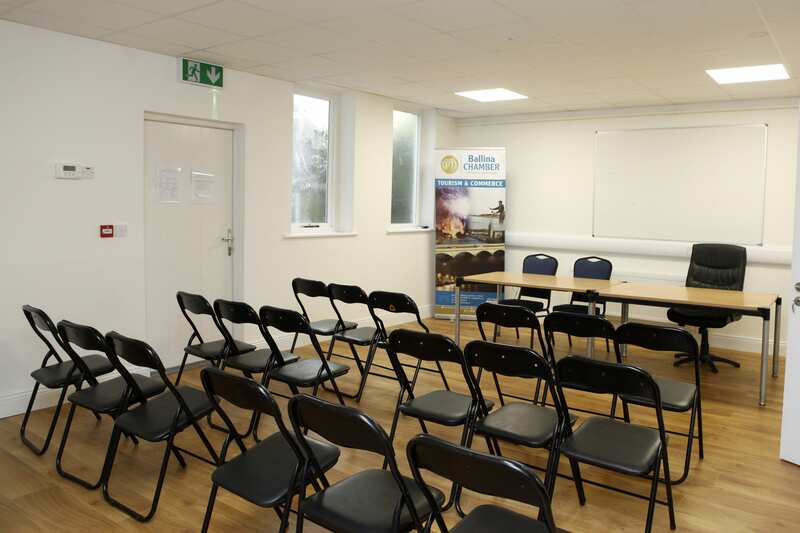 Ballina Chamber Boardroom is equipped with a projector, screen and WIFI for all your conference needs. 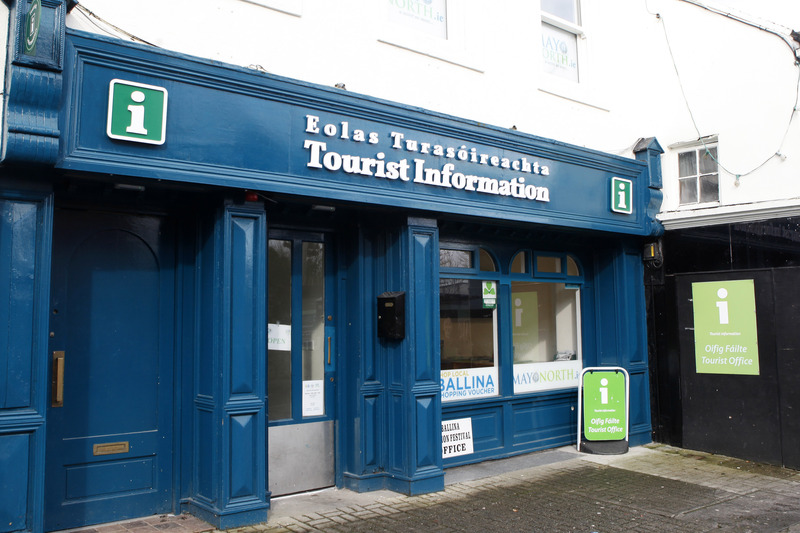 Ballina Tourist Office is a Failte Ireland approved and licenced Community Tourist Office, run and managed by Ballina Chamber of Commerce, with the support of Community Employment Staff of Moy Valley. Ballina Chamber employs a part time manager to manage the offices. Ballina Chamber are delighted to host Mayo North Promotions Office and Ballina Salmon Festival Office working together the same building, all working towards the same goal to promote the Mayo North region. Ballina Chamber of Commerce has devised and created a 5 Year strategic plan, both internally for the Chamber as a business and also to give clear vision and definition of what it wants to achieve for the town and surrounds. Ring Road in Ballina N26, including road from Swinford to Mount Falcon, Reviewing Car-parking facilities, Bus Parking, Cover in Military Barracks, Boardwalk from Ballina town to Quay Village, Bridge connecting Belleek to The Quay & Enniscrone Greenway. Four Main Streets of Ballina town will be consistent in landscaping, Promoting front window creativity with Ballina town retailers, Promote a lovely town to shop in, Additional loading bays in the high streets, Tackle the unsightly Deanwood property, Christmas Lighting Plan to enhance the whole of the town, Laneway into Diamonds Car park, Better signage in the town, Public Toilets. Promote & Lobby for Town/County as an Attractive Business Location Work with and in conjunction with Mayo County Council’s Local Enterprise Office, provide Desk for LEO at new Ballina Tourist and Chamber Offices on Pearse St, alongside and in partnership with Ballina Salmon Festival. Whether you’re an existing member, or joining us for the first time, Ballina Chamber of Commerce now accepts Card payments via PayPal and Stripe, offering security and peace of mind for you and your business.